Greatly enhance the aesthetics of any space in your house b coming to us for the installation of brand new luxury vinyl flooring. Our showroom has all the LVF selections that you could possible need in order to upgrade your look without breaking the bank on flooring or installation. Our flooring showroom has a wide variety of styles and materials to choose from, all of which come from leading companies in the industry. Regardless of the size and shape of the room you are looking to enhance, we have a wide enough selection that you are guaranteed to discover something that perfectly suits your needs. Stop by or schedule a consultation today to view our enormous selections of styles for your next luxury vinyl flooring installation project. Luxury vinyl tile and planks are the perfect blend of style and practicality for any room in your home. From the bathroom to the bedroom to the kitchen, choosing LVF gives you the elegant look you desire at affordable prices. Our flooring specialists want you to have the high-end aesthetic of ceramic tile, natural stone, and granite at a fraction of the cost of the authentic material. We even offer special financing to ensure you get the product you want. Set up an appointment with us today to see all the products we have for you. After selecting the material you want, let us take care of the hard part. Our luxury vinyl plank and tile installation services are here to not only make the process easier for you, but to ensure you get the highest quality floors possible. Let our experience contractors take care of the hard work so you don’t have to. Whether you want plank, tile, or sheet vinyl, we have the ability to quickly and efficiently install it. Many people choose vinyl for its ability to mimic other types of flooring, such as hardwood or stone. Using LVF as an alternative is especially effective if you have an expert install it. We know all the tricks to making your new LVF indiscernible from the material it is imitating. Think about the last time you remodeled your home or replaced your floor. The average lifespan of a newly installed floor is somewhere around 15 to 20 years. If you haven’t replaced your floors in more than two decades, it is most likely time to do so. 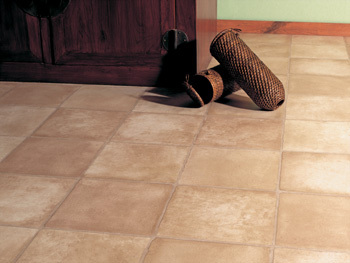 When you install new luxury vinyl flooring in your home, you vastly improve the look and value of your home with ease. Our goal is to provide you with a stunning new look without need for spending all of your money on new floors. Whether you are looking to improve the look and functionality of your kitchen, bathroom, or bedroom, we have exactly what you need. LVF is highly resistant to stains, scratches, and water, making it suitable for any room, even a workshop. Call us today to find out more about the versatility of LVF. We are proud to serve Great Falls, Monument, Black Eagle, Vaughn, and Fort Shaw, Montana, and surrounding areas.